French violin School of Paul Bailly C.1890's. Fully restored with new Rosewood pegs, new endpin, new top nut, new French Aubert bridge, new Ebony tailpiece, new soundpost. 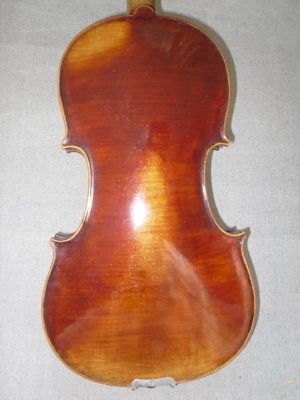 Dominant strings and Teka chin rest. Very good condition.